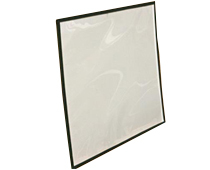 Budget price sleeve 2mm fluted polypropylene centre board. 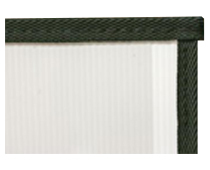 130µ polypropylene film. black nylon binding.All sleeves are one piece. Made from 100% light-weight archival materials. Fully inert and anti-static.